Phal. 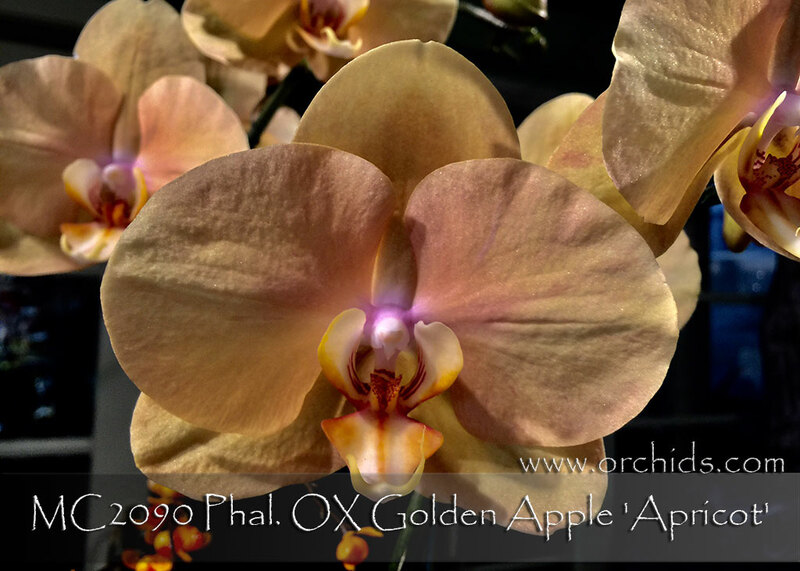 OX Golden Apple has produced some sensational progeny and ‘Apricot’ is no exception ! 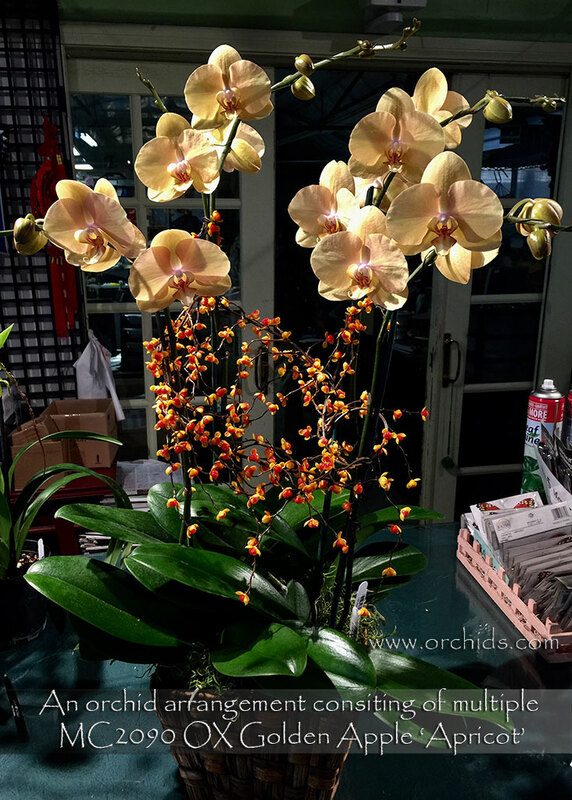 Its soft apricot color is the result of its yellow base color overlaid with a wash of pink from the pollen parent, Phal. OX Spot Queen. Large 3.5 - 4” flowers show beautiful full form, displayed on a gently cascading inflorescence, with each flower spaced to perfection for the ultimate presentation. Highly Recommended !